Tyler Graham, THE HAPPINESS DIET, Julie Guthman, WEIGHING IN. Tyler Graham talks about the book he co-authored, THE HAPPINESS DIET: A Nutritional Prescription for a Sharp Brain, Balanced Mood, and Lean, Energized Body. 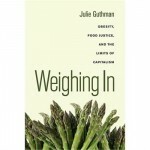 And geographer Julie Guthman discusses her award-winning book WEIGHING IN: Obesity, Food Justice, and the Limits of Capitalism. Then, two poems for Spring by Susie Patlove. Americans are diet obsessed, but we’re still getting fatter and unhealthier. Food writer Tyler Graham says the modern American diet — or MAD — is also damaging our mental health. Graham says it’s because our industrial food system has stripped our food of its vital nutrients. Our brains need things like manganese, B vitamins, and healthy fats to do their jobs — when they don’t get them, we get depressed, anxious and unable to concentrate. And nutritional supplements can’t provide them — Graham calls them a form of snake oil. What we need, he says, is food grown and raised the way it used to be–grass fed meat, organic fruits and vegetables, and butter from cows that get much of their nutrition from grass. Yes, butter, Graham says, is good for us. 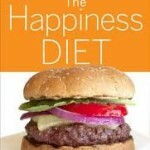 In his book, The Happiness Diet Graham and his co-author Dr. Drew Ramsey provide recipes, shopping tips and other ideas to feed your brain healthy food that can also improve your mood. Tyler Graham reports on health and fitness for Details magazine and has held editorial positions at O, The Oprah Magazine, Prevention, and Best Life. 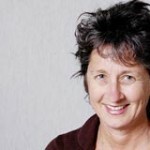 Julie Guthman: Our social and economic system is making us fat. Books that teach us how to lose weight by eating better and exercising more are all well and good. But there’s more to obesity than lifestyle. Emerging evidence points to environmental toxins that are wreaking havoc on our endocrine systems — and making people more prone to be fat and less able to lose it. Geographer Julie Guthman says the cause lies in America’s poorly regulated capitalist system. From the failure to regulate chemical pollution to the impact of income inequality, Guthman examines the political economy of obesity in her book, Weighing In: Obesity, Food Justice, and the Limits of Capitalism. Guthman is associate professor of Community Studies at the University of California- Santa Cruz. She won an award from the Association of American Geographers for her book, Weighing In. She’s also the author of Agrarian Dreams: The Paradox of Organic Farming in California. Guthman teaches at the University of California about Sustainable agriculture and alternative food movements, international political economy of food and agriculture, politics of obesity, political ecology, race and food, and critical human geography. We’ve just turned the corner from winter to spring and so, in honor of that and of poetry month, which is April, WV airs two poems from Susie Patlove, reading at a 2007 gathering in western Massachusetts to celebrate the literature of place: Feeding the Birds Under the Birch and My Hands Again in the Soil. Patlove practices her poetic arts in Shelburne Falls Massachusetts.